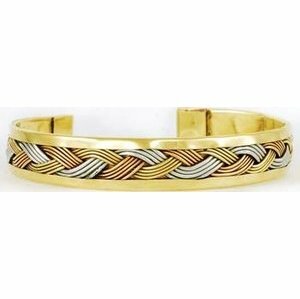 Sculpted of brass, this bracelet prominently features an intricate weave of wire reminiscent of Celtic designs. Adjustable. 3" x 3/4"